High capacity whole house dehumidifiers is a great option to decrease humidity in main living areas as well as un-finished basements and crawlspaces. Easy operation LCD controls and piped condensation drain systems mean no trays to empty. 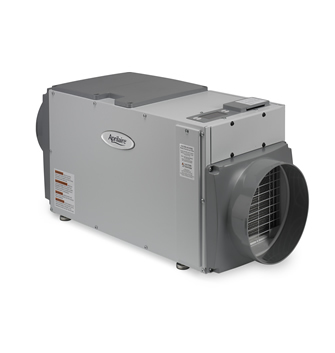 Dehumidifiers can be connected to your home’s heating and cooling system or mounted as a free standing unit in basements and crawlspaces.